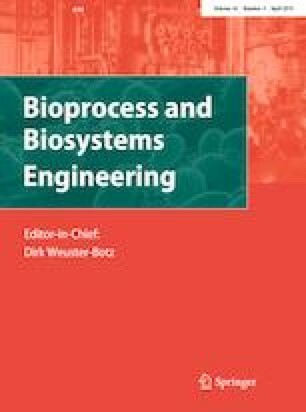 Submerged fermentation (SmF) is an attractive biotechnological option for waste treatment, generating fungal bioprotein from food industry by-products. Using different Rhizopus sp. strains as fermentation agents, this paper describes a global strategy to identify interactions between cultivation parameters (pH 4.75–7.75, 7.5–82.5 g/l glucose, 0.75–3.75 g/l nitrogen, incubation time up to 5 days) for valorization of food industry by-products. Selected parameters and/or their interactions are critical for most of the proposed resulting values, giving the opportunity to optimize the process depending on the objective and making an “in silico” pre-evaluation of the process conditions. 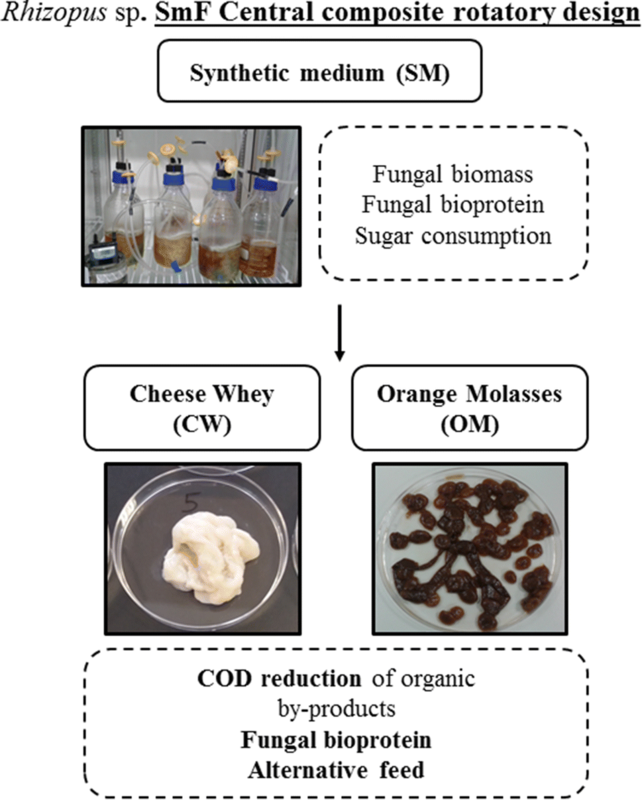 SmF of orange molasses leads to a high biomass and protein yield (11.9 g biomass/l and 4.0 g protein/l), with 43.1 ± 0.1% of essential amino acids and chemical oxygen demand (COD) reduction of almost 50%. Experiments with cheese whey result in 76.3 ± 1.1% of glucose consumption and a biomass production of 5.6 ± 2.2 g/l with 48.9 ± 5.1% of essential amino acids. SmF of orange molasses and cheese whey could contribute to promoting a sustainable feed industry while reducing by-product treatment. The online version of this article ( https://doi.org/10.1007/s00449-019-02127-4) contains supplementary material, which is available to authorized users. Authors thank Vascolac S.L, and Indulleida S.A. for providing the food industry by-products. This work was funded by the Basque Government (Department of economic development and competitiveness and infrastructure development, agriculture, fisheries and food policy). This paper is contribution no 909 from AZTI (Food Research).